Creating a niche of HDPE Storage Tank such as HDPE Storage Tank, HDPE Chemical Storage Tank, with utmost quality. 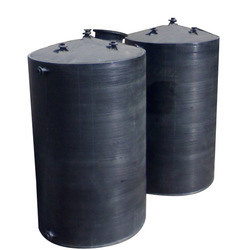 We have emerged as one of the reputed manufacturers of HDPE Chemical Storage Tanks. Our clients can avail these in cylindrical, vertical, horizontal and rectangular shapes TANKS manufactured using high-grade HDPE, PP & FRP sheets, these tanks are ideal for storing highly corrosive chemicals, acids, waste, leachate or pickling purposes. Spiral Plastics is engaged in manufacturing and supplying of spiral tanks that are designed using a unique process known as Spiral winding. Our range includes PP square tanks, HDPE rectangular tanks, PP horizontal tanks and HDPE pickling tanks. 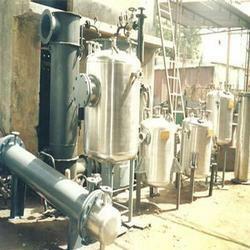 These tanks are manufactured using a high grade of raw material, procured from certified vendors. Used in various process industries, these spiral tanks are known for corrosion resistance, high impact strength, and low maintenance. Our customers are distributors, leading Chemical, Dyes, Acid manufacturers, project consultants and engineering companies, pharmaceuticals companies etc across India and abroad. Packaging Details: HDPE tank no packing require. We have manufacture quality range of Industrial Acid Storage Tank for our customers that are available in sturdy construction. Used for storing acids in diverse industries, these tanks can be customized in terms of size as per the specific requirement of our clients. These are known for high impact strength, abrasion resistance, and leak proof. Our Chemical Storage Tank can be used for the storage of many dangerous liquids including- liquid detergents, sodium hypochlorite, nitric acid, sulphuric acid, hydrogen peroxide, hydrochloric acid, aluminum sulfate, ferric chloride, ferric sulfate in addition to less hazardous liquids such as water, dyes & bleaches, ciders. Spirall Plastics a Leading Manufacturing a wide range of Chemical Process Equipment that finds suitability in areas like Chemicals, Refineries, Petrochemicals, Pharmaceuticals and other sectors. With available options including Vibro energy separators, drum flakes, Vibro energy separators, wiped film evaporator, rotary vacuum dryers and others, these can be offered in mirror/aluminum finish as per requirement of the particular process where these are used in.